ALL-NEW ARC! ALL-NEW JUMPING-ON POINT! 'LABYRINTH' starts now! Across six millennia, Gilad Anni-Padda - an immortal warrior sworn to forever serve the Earth - has felled zealots and madmen, emperors and tyrants in the course of his duty. But nothing he's faced yet can prepare him to run the 'LABYRINTH' - a miles-long maze of horrors specifi cally designed to undermine his every strength, enhance his every weakness?and to send him screaming into the darkness of death at every turn. But what kind of brilliant but twisted psyche could have possibly conceived such a monument to terror?and for how many centuries have they plotted to break the mind and body of history's most formidable soldier? 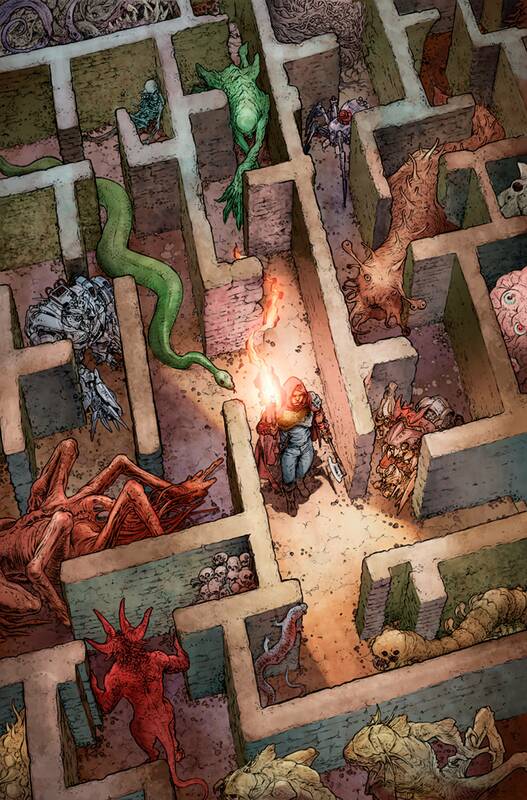 The answer lies at the heart of the 'LABYRINTH' itself?and as Gilad endures a gauntlet of cutting-edge technology and sharpened steel, he'll soon discover why the merciless figure known only as THE DYING MAN has singled the Eternal Warrior out for the ultimate deathtrap. He will run. He will suffer. And when his ordeal is ended, the Eternal Warrior's place in the Valiant Universe will be forever altered as New York Times best-selling writer Robert Venditti (BOOK OF DEATH) and visionary artist Ra?l All?n (Hawkeye) unleash an all-new epic for Valiant's immortal master of war!